When he is not helping patients at Vance Thompson Vision in Fargo, ND, Dr. Michael Greenwood, LASIK and cataract surgeon, enjoys spending time on the ice. Since Dr. Greenwood can remember, hockey has captivated his interest. He became interested in hockey when before he ever went to school, as his mom would take him to the rink, where he would crawl and skate around. His older brother also played hockey, which sparked his interest. “It was just something that went hand in hand with winter,” Dr. Greenwood says. Now, Dr. Greenwood enjoys playing in a men’s league in Fargo. 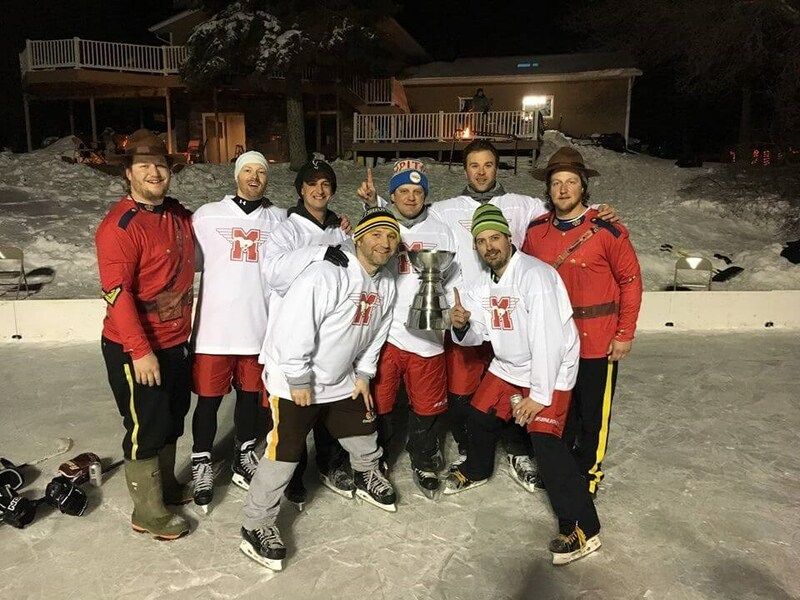 Every year, he also participates in a pond hockey tournament, and this year his team won the tournament’s “Lord Benny’s Cup” for the second time. Dr. Greenwood appreciates how playing hockey keeps him active and connected with friends. Dr. Greenwood and his wife share their passion for hockey, and his wife’s high school in Roseau, Minn., had a reputation for producing many professional players. Dr. Greenwood attends the games of his niece and nephew as often as he is able, and he travels to the University of North Dakota (UND) hockey games when he gets the chance. In the professional hockey world, Dr. Greenwood grew up as a St. Louis Blues fan because Brett Hull was his favorite player. Now he likes to follow UND alumni, so he follows the Blackhawks and Kings, who have been successful lately. He also cheers for the Minnesota Wild because of their proximity to Fargo. “Even though most of these teams are in the same division, I can still cheer for them until they meet up,” Dr. Greenwood says. Hockey holds significant value to Dr. Greenwood, and while he loves making the perfect pass that ends in a goal, he also appreciates the intangible joy the sport brings to him. When looking at the connection between hockey and ophthalmology, Dr. Greenwood says the rapid invention of new technologies has influenced them both. He says they are also both founded in the core human value of passion. “It's just the passion to do what you love and do your best at it,” he says.